I should admit in this review that I’m not a particular fan of rollerballs as a product. I do prefer having a spray to have somewhat better control over where it goes and although applying a rollerball on the wrist is doable, the neck side of things just feels weird. That’s just a personal opinion and in completely opposite to that, I have started to carry a Primark rollerball fragrance in my handbag recently. Touch – A beautiful floral, woody fragrance combining a bouquet of Jasmine and Lily blended with deep sensual notes of vanilla and tonka bean leading to a rich woody base of cedar heart oil and sandalwood. By far my favourite and noticeably so as there is only about half the bottle left. Works really well as a layered scent too. Dusk – An irresistible, modern oriental fragrance with Iris, Jasmine, and Patchouli. Combined with the sweetness of a gourmand blend to create an incredible scent with depth and complexity for the confident, sensual women who celebrates her femininity. Dupe – La Vie Est Belle from Lancome. I don’t normally like floral scents but I think the oriental side of this brings a new side to it. I’ve since bought this perfume as a Christmas gift as it’s perfect for my friend! Never sniffed the Lancome one but it’s quite a high rated dupe so try it out. Blush – A delicately fresh, oriental fragrance with a heart of Jasmine and Rose. Combined with a blend of Patchouli and Vetiver to create a scent that embodies the ultimate expression of femininity. Dupe – Coco Mademoiselle Chanel. Another oriental floral fragrance that I loved – what’s happening to me? There is a slightly too much rose in it though for me so it wouldn’t be a favourite from the set. After Glow – A seductive, floral-oriental fragrance with lilac, geranium and pink pepper. Sensual notes of amber and patchouli complete this feminine scent. This is such a delicate scent, I do prefer scents that are much stronger. 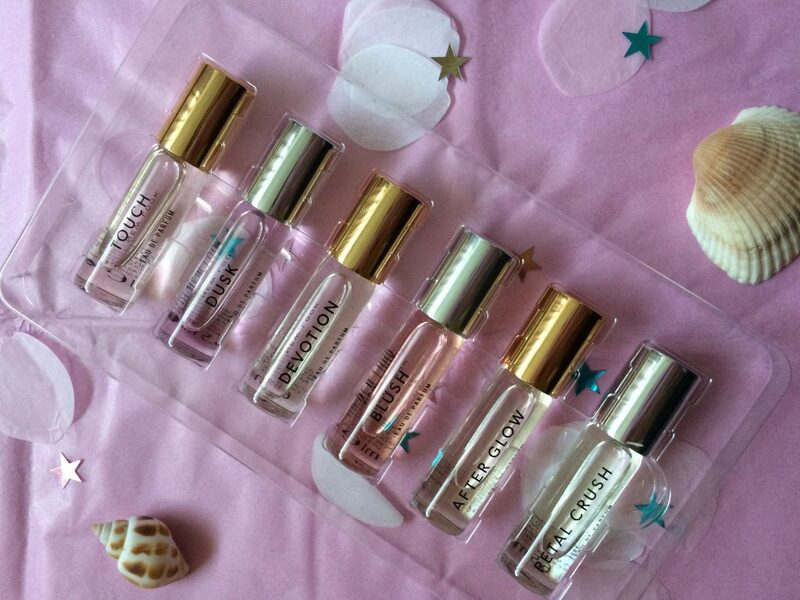 It reminded me a lot of the very early perfumes I had as a young girl. It would be great as a gift scent for a young teen or younger. My daughter loved that it had pink pepper in it! Petal crush – An intense oriental-floral fragrance with Oud and seductive notes of Damascus rose. Patchouli, vanilla and dark woods are at the heart of this luxurious scent. Another oriental-floral and another that I liked. This was definitely not one that I would have picked as a favourite from the description because Rose scents are not my thing. This one is mainly the Oud, the Vanilla and the dark woods. I do get the Rose and the Patchouli but they aren’t overpowering the scent. Overall, I’m really pleased I tried out this scent as I had wanted to try out a lot of the New Look scents for a while and there’s never any samples or testers out. I’ve managed to get a few gifts for people based on trying these out. I’ve also picked up a bottle of Touch for myself, it’s perfect for this time of year too. I’ve also found the scent great for my anxiety too, perfect to keep in your handbag. I’ve not found this 6 rollerball set on the website but they have this 3 version which has my favourites in it. This could also be a great gift. Have you tried any of the New Look fragrances?